Antarctica’s fastest melting glacier, the large ice stream Pine Island Glacier, has shed another block of ice into Antarctic waters. The glacier, responsible for about 25% of Antarctica's ice loss, spawned an iceberg after ”a kilometre or two” of ice broke off from the shelf’s front. 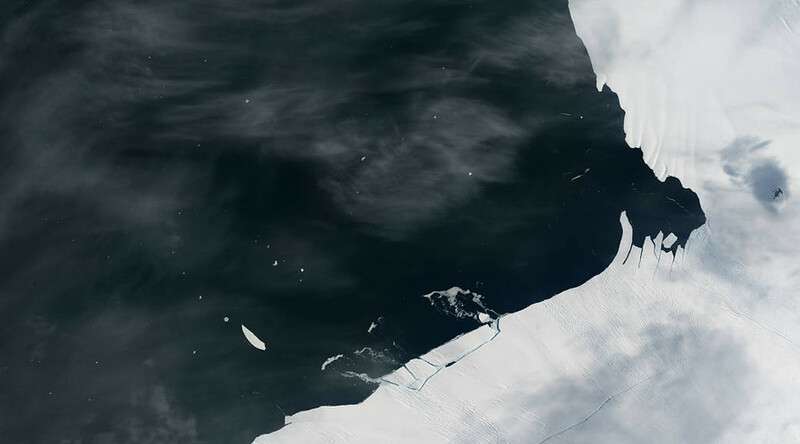 While the loss was miniscule compared to previous giant ice losses, it presents further evidence of the ice shelf’s fragility, according to NASA. The break was about ten times smaller than an event in July 2015 which saw a 30-kilometer-long (20-mile) rift develop below the ice surface before breaking through and calving an iceberg spanning 583 square kilometers (225 square miles). “I think this event is the calving equivalent of an ‘aftershock’ following the much bigger event,” Ian Howat, a glaciologist at Ohio State University, said. 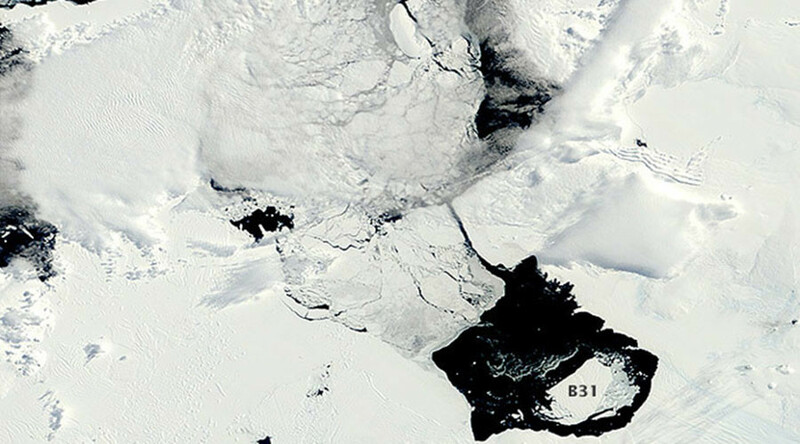 In August 2013 an iceberg, six times the size of Manhattan, calved off of Pine Island Glacier. B-31 which measures 32 kilometres by 19 kilometres with a height of 500 metres is under NASA observation as it continues to drift to sea. NASA is paying close attention to the Pine Island glacier as evidence suggests even faster loss of ice in the future. It already delivers about 79 cubic kilometers (19 cubic miles) of ice per year to Pine Island Bay. This latest image was captured by NASA’s Operational Land Imager (OLI) on Landsat 8 on January 26 after the break. Scientists warn that more small rifts persist about 10 kilometers (6 miles) from the ice front and expect that these will result in more calving in the near future.